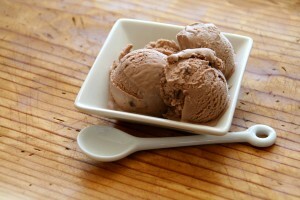 Summary: A perfect creamy consistency without eggs or cooking, this Nutella Ice Cream is an eyes-closed, luxurious treat! Put all ingredients in a blender and blend on low speed just until combined. This will take 15 or so seconds. Pour into container for electric ice cream maker and process until frozen, following manufacturer’s instructions for your machine. You may chill the mixture before processing if you like, but it is not necessary. Eat immediately (it will be a soft-serve consistency, or scoop into a container and freeze for several hours to harden it further. Lazy: Want to try it the lazy way? 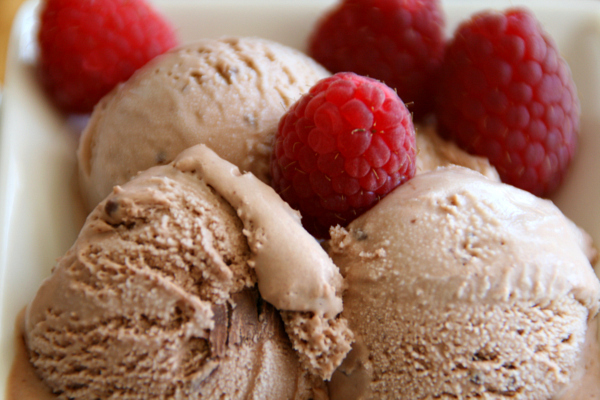 Add all the ingredients to your ice cream maker (skip the blender step). 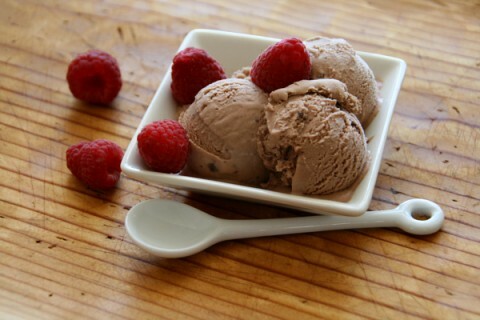 You might have to stir it a couple of times while it churns, to distribute the blobs of Nutella, but you’ll emerge with a chocolate-speckled version that is interesting and kind of like chocolate chip ice cream. My husband actually prefers it this way rather than the smoother version. More creamy: Want an even more luxurious version? Switch the cream amount for the milk amount. So, use 3/4 cup cream and 1/2 cup milk. It works! It will be twice as creamy and rich, with the Nutella flavor every bit as good. Suit yourself. Source: Inspiration from Chocolate Moosey , who got her inspiration from The Perfect Scoop . This week, our talented #SundaySupper group is contributing recipes featuring dishes in 5 ingredients or less, for those days when you don’t feel like making a complex recipe, or maybe you’re on a budget, or maybe you really only have five ingredients left!